We’ve covered burgers on FT as much as we possible can. We love them. Ant and I battle burgers vs pizza as the greatest food ever created. In this post. he wins. Time Out Magazine has decided there needed to be a thing called Battle of the Burger. For a slightly steeper than we expected, $50 you get a ticket. That battle ticket does unlock a lot of burger magic. 20 of the cities best burger patty’s, complimentary Budweiser (full disclosure, seems like Bud paid for this whole thing) and entertainment by the 80’s cartoon named, Go Go Gadjet. 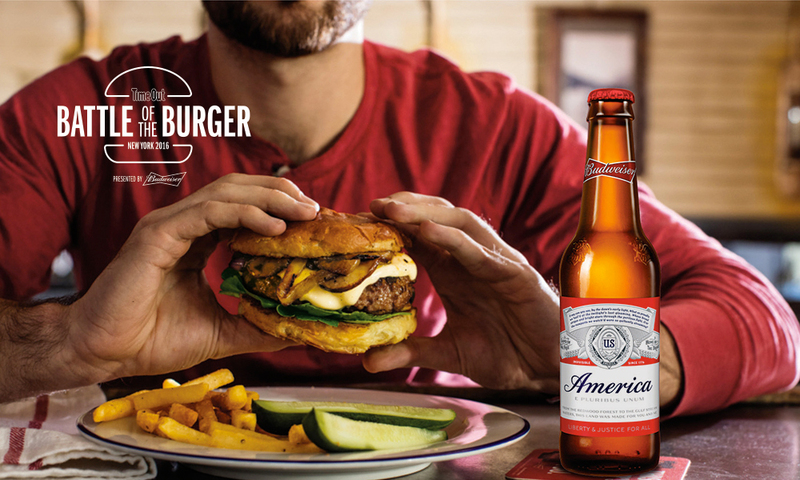 If you break that $50 bill down, you’re looking at $1 beers and $2 burgers and that’s actually the best ticket in town. Thursday, August 18th at 5:00 pm in Manhattan. 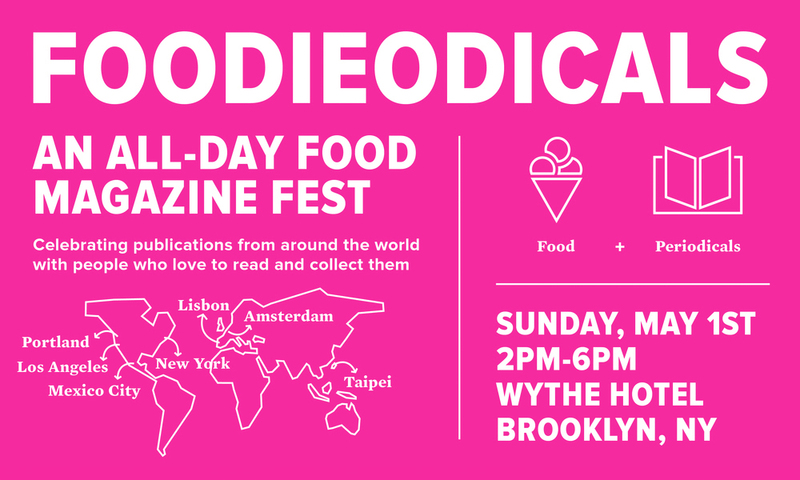 As part of the Food Book Fair, Foodieodicals has become one of the most popular events of the weekend. Given the increased influx of Food Zines this past year, we’re sure this is going to be bigger and better and tastier than all previous years combined. With shot outs like “Coachella of writing about eating,” or “a voracious reader’s dream,” and “food geek heaven”, it’s now wonder where you’ll find us in early May. Let’s not fight over the last copy of Life&Thyme…OK?…Please?…See you in the BK. May 1 from 2-6PM @ Wythe Hotel in Brooklyn. Sandwiches are a perfected item. That’s why this competition is like a battle royal between the most perfect or perfect things. Like Diamonds vs Puppies OR 1986 Mötley Crüe vs a 1974 Ferrari Dino. 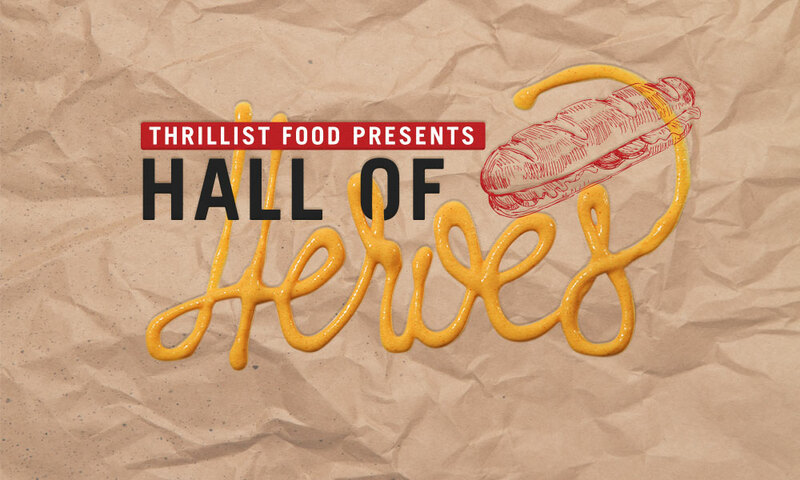 Of course none of that is edible which means less fun than the Thrillist Hall of Heroes happening this Sunday. The heaviest of NYC hitters will be on deck including Melt Shop, Cafe Habana and Sticky’s Finger Joint. $65 gets you all the sandos you can shovel in that gaping hole of amazement you call your mouth. Wash it down courtesy of Pepsi 1893. Sunday, April 10th from 1PM-4PM @ The Bowery Hotel in NYC. Washing down a big bite of food with a comparable gulp of wine has long been a top pastime of the whole FT Crew. So much so that we’ve come to know the difference between a 2 Buck Chuck and a grape grown in Montalcino. Although they both have a place in our wine cellar (read closet), learning more never hurts. 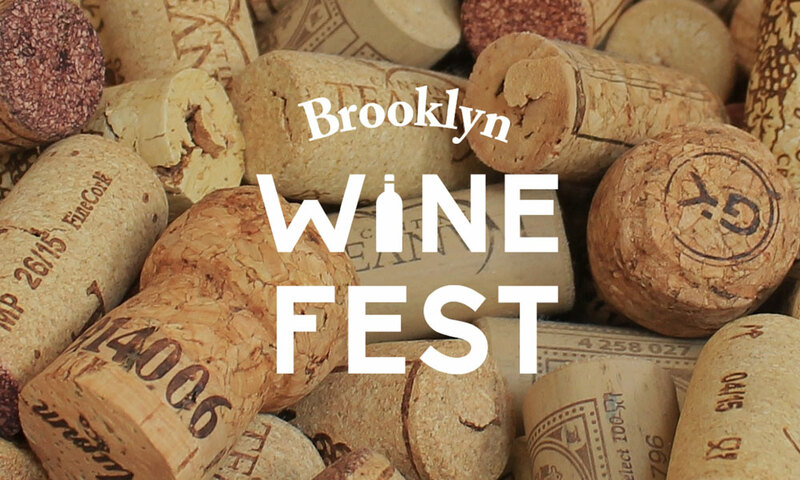 The Brooklyn Wine Fest does this learning thing in the non-snooty, approachable, fun kind of way. I guess you’d expect this from a Brooklyn born wine festival but the legacy of stodgy wine makers is still a hard ship to turn. The organizers have broken these stalwarts down and curated a producers list that will make everyone punchdrunk happy. In addition to the 50+ wineries repping their grape juice there’s some on point food to help coat that belly. Heavy hitters like the Mac Truck, Luke’s Lobster and the Brooklyn Oyster Party, just to name a few, will help you savor every wine wheel tagged sip. Time management alert, the day is broken up into two sessions. (12-4 and 5:30-9) Our advice is, BIG brunch, go early, pace yourself, no spitting and stay until the sun is gone. You’ll be fine. Enjoy yourself and stop by Dandelion Wines post fest to try your new knowledge out. Lily and team will be waiting to help. Saturday, October 28th from 12-9:30 in Brooklyn. 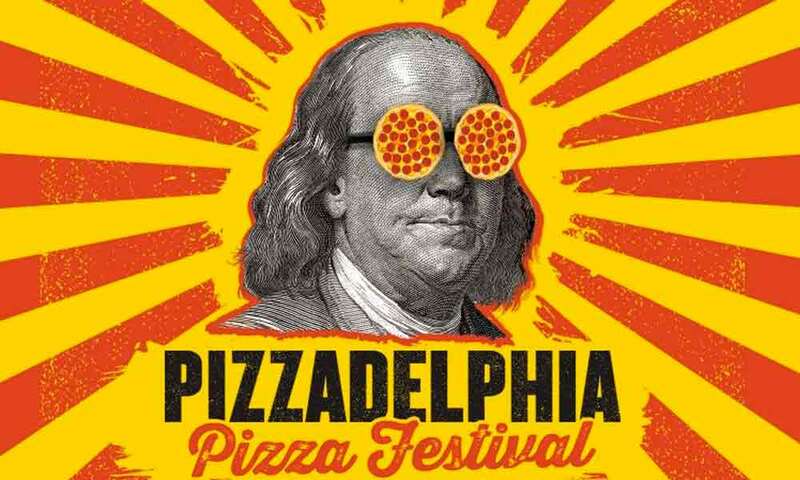 From what the organizers have said, The Pizzadelphia Pizza Festival is at least partially to put Philly pizza on the map. Now, as a New Yorker, you know Naples is the only city that even matters but that’s like saying France wins the world cup again. Update: that actually happened. Well maybe Philly is Croatia. Maybe they beat out Chicago in an upset and they are now in the finals. With slices from Pizzeria Vetri, Pizza Brain and the illusive Beddia, the line up is solid and the party is set to sauce mode. Some of Philly’s best DJ’s make it loud and the Vetri Community Partnership makes it good. If you are a pizza freak this weekend at the Navy Yard has your shirt stain waiting. Saturday, July 14th from 12 to 5:30pm in Philadelphia.